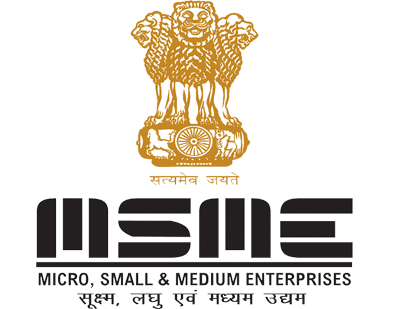 MSME stands for Micro, Small and Medium Enterprise. MSME or SSI enterprises are the foundation of any economy and are an engine of economic growth, advancing impartial improvement for all. MSME registration or SSI registration online helps businesses avail multiple government subsidies and benefits MSMED act, MSME gov. Once the SSI/MSME application is approved and your MSME certificate/SSI certificate is issued, we shall send it to you via email and courier. There are small and medium enterprises which fall under SSI/MSME category. MSME stands for Micro, Small and Medium enterprises. Being the backbone of an economy sector, MSME enterprises acts as an engine which helps in the growth of the economy and promoting equitable development. Therefore, to support and promote MSMEs, the Government of India through various subsidies, schemes and incentives promote MSMEs through the MSMED Act. To utilise all the benefits which are offered under MSME act, the enterprise should be registered as MSME with the concerned department. These benefits of MSME registration include priority sector lending, power tariff subsidies, capital investment subsidies and excise and direct tax exemptions. Following are the conditions which need to be fulfilled to qualify under MSME Act. 1: All the manufacturing enterprises which have invested less than 10 crores in machinery and plant are allowed to be registered as MSME. 3: And in near future, if your enterprise exceeds the maximum limit, then it will not sum up as MSME.